Salutations, Nerfherders! We spend a lot of time defending the prequels, but this time around, we let someone else far more qualified make their case. 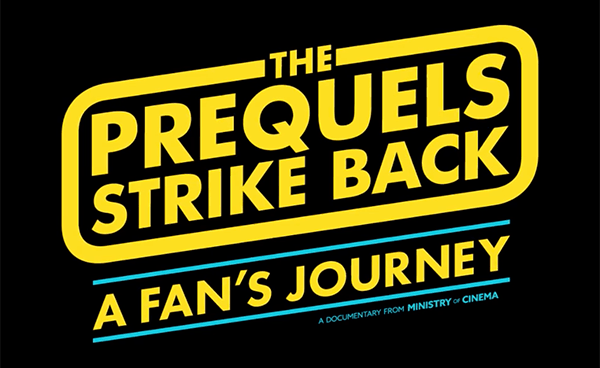 We turn the mic on director Brad Weatherholt and producer Kyle Brodeur, creators of a new documentary titled “The Prequels Strike Back”! The film releases digitally on September 14th, with screenings in select cities to follow starting October 6th. In this interview, Brad and Kyle explain the evolution of the film through crowdsourcing, the research that went into it, and perhaps most importantly, the ancient storytelling device at work throughout all 6 of Lucas’ Star Wars films. Join us and get edumacated!